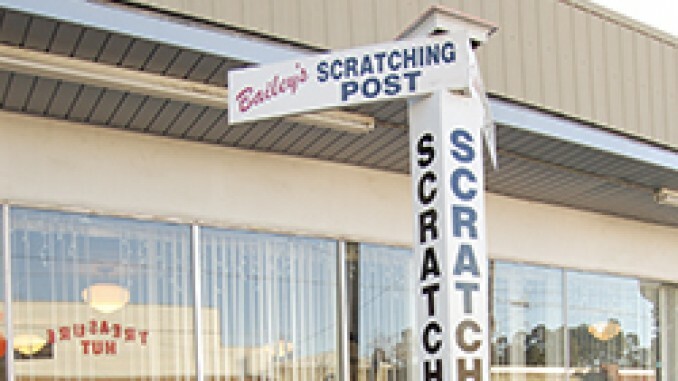 Just like all small towns in the United States, Lucedale, Mississippi has a back scratching post. Unlike many small town back scratching posts however this one was used by ex-President Ronald Reagan, thus catapulting the little town and the back scratching post to world renowned fame. Located on an otherwise sleepy Main Street in an otherwise sleepy town, this back scratcher is worth the visit if you happen to be in the neighborhood, however unlikely that may be. Made of heartwood pine, the original post dates to 1939, and was installed by Pearce P. Bailey in front of his insurance agency as an advertising gimmick where customers were asked to scratch their backs with his insurance. When the insurance agency was closed the post was gifted to Bailey’s son who moved it across the street in 1945. It’s not only Ronald Reagan that has used the post to scratch an itch. There have also been loads of famous people known to have used the scratching post like Kirk Douglas, Gene Autry, and of course Tom Lester from “Green Acres” fame just to name a few.